Yay, I got a shout out! You are such a great guide. We would have shown pretty much the same things to our visitors. 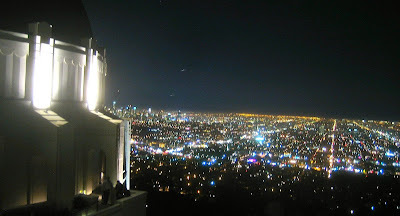 I think there are only a few people who really appreciate L.A. for what it is and has to offer. I personally love L.A. and can't wait to get back there over the long Thanksgiving weekend. George keeps talking about Philippe's too but I've never been there so far. Maybe this time around? Definitely make a stop at Phillipes, especially if you've never been! (I recommend lamb wuth blue cheese) :) but save room for pie!